Science shows that vitamins are no longer a one-size-fits-all solution. 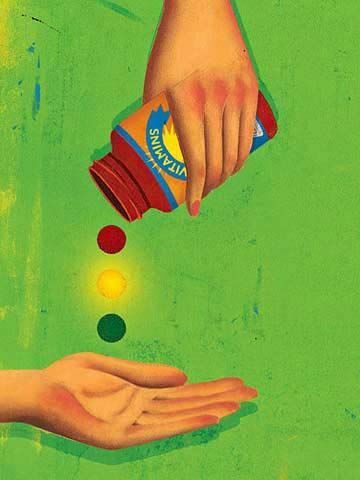 Here's how to know which supplements you need—(and which you don't)—to save your health. Karon Warren has been popping a daily multivitamin for years. "I&apos;m so busy that I don&apos;t eat like I should," says the 41-year-old working mom of two from Ellijay, Georgia. Although she&apos;s moving in a million directions, shuttling her kids between school, dance and tumbling lessons, she couldn&apos;t help but notice recent headlines. "Every time a new study comes out about vitamins, I become a little concerned," Karon admits. "But I&apos;ve had no side effects and always get a clean bill of health from my doctor. I&apos;m sticking with them." Karon is not alone. More than half of American adults rely on at least one supplement to become—or stay—healthy. But recent research suggests the practice may not do a body good after all. In a study of nearly 40,000 women, a slightly reduced life expectancy was reported for those taking multivitamins, folic acid and iron. So do you dump your supplements along with last week's leftovers? 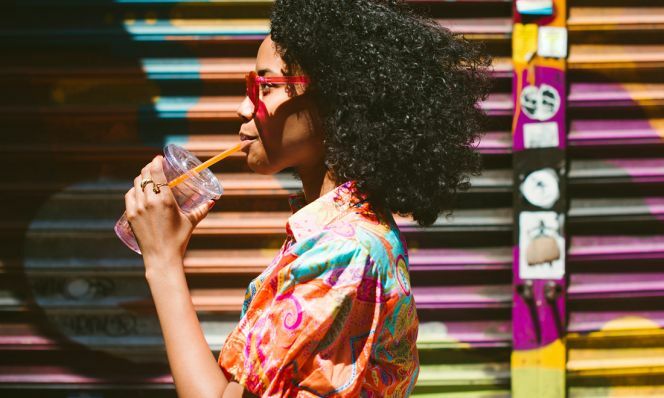 "Nobody should change their behavior based on a single study," says Jeffrey Blumberg, Ph.D., Family Circle Health Advisory Board member and professor of nutrition at Tufts University. "Their safety has been well established by 50-plus years of research." Instead, create a customized plan with your doctors before you stock your medicine cabinet. Take our expert advice to your next appointment to start the conversation about which supplements to swallow, which to swear off and which brands are best. Seventy-nine percent of physicians recommend vitamins to their patients for bone, joint, heart and overall health, according to a survey funded by the Council for Responsible Nutrition (CRN), a trade association. Get the scoop on some of the top ones for moms like you. What You Need to Know: Recent research shows Americans are meeting their dietary guidelines—but only one week out of the year. "If you find yourself skimping on fresh fruits, vegetables and whole grains, a multivitamin is a practical way to help fill that nutrient gap," says Blumberg. But that doesn't mean you can get away with eating junk for breakfast, lunch and dinner. "No supplement can hold a candle to a good diet," says Jason Theodosakis, M.D., Family Circle Health Advisory Board member and associate professor of family and community medicine at the University of Arizona College of Medicine. If you're premenopausal, Kroger Complete Ultra Women's Health and Walgreens One Daily for Women multivitamins—each just six cents a day—are good choices, says Tod Cooperman, M.D., president of ConsumerLab.com, an independent firm that tests supplement safety. (For a free trial, go to ConsumerLab.com/FamilyCircle.) Nature Made Multi for Her 50+ is the best value for postmenopausal women, he says, because it costs 12 cents per day and contains enough calcium and vitamin D for bone health but no iron, which usually isn't necessary at this age. Who Should Take It: Vegans, women on macrobiotic or 1,500-calorie-or-less diets and those who eat poorly. If your blood work is good, your doctor may instead recommend specific, individual vitamins and minerals to fill holes in your diet. What to Watch Out For: Don't go over the Daily Recommended Intake (DRI). Switching to a multivitamin is usually a safe way to prevent this. "It's easy to consume too much of a nutrient when it's taken as a single vitamin," explains Blumberg. And megadosing—taking high doses of a single nutrient—can cause anything from nausea to kidney damage. Get It Naturally: Eat at least one and a half cups of fresh fruit and two to two and a half cups of vegetables daily, and be sure at least 50% of the grains you choose are whole. Go to myplate.gov for recommendations on how to eat to meet nutritional guidelines. What You Need to Know: Few foods inherently contain vitamin D, and some of us may not spend enough time in the sun for our bodies to produce sufficient amounts on their own. But unless your doctor recommends this supplement to treat a deficiency or to reduce your risk of osteoporosis, you should probably skip it, says Patsy Brannon, R.D., Ph.D., professor of nutritional science at Cornell University and a member of the panel of the Institute of Medicine (IOM). In fact, some studies suggest too much D may increase the risk of pancreatic cancer. If you do need it, check the label for D3, which may be more effective than D2, the other type used in supplements. Who Should Take It: Postmenopausal women at risk for osteoporosis due to family history, small frame size, sedentary lifestyle or low calcium intake. What to Watch Out For: Megadoses of vitamin D can cause high blood calcium (hypercalcemia) and excessive calcium in the urine (hypercalciuria), both of which put you at risk for damaging your kidneys and bones. Get It Naturally: Fortified foods (including breads, cereals and orange juice) can have more vitamin D and calcium than milk. Fatty fish, like tuna and salmon, and canned light tuna are also good sources. What You Need to Know: After age 50, your stomach secretes less acid to break down and absorb vitamin B12, so compensating for what you're losing can be important. Recent research suggests a diet rich in B12 lowers the risk of developing Alzheimer's disease, but it's unclear whether taking a pill may have the same effect. Since B12 is needed for cell replication, DNA and blood cell production, B12 deficiency is associated with fatigue. Who Should Take It: Vegans, people with gastrointestinal disorders and those with pernicious anemia, an autoimmune disease. What to Watch Out For: Aspirin, certain antibiotics, oral contraceptives and acid-blocking medications like Nexium and Prilosec can interfere with B12 absorption. Get It Naturally: Poultry, eggs, clams, fish and meat are rich sources, as are fortified breads and cereals. What You Need to Know: Unlike other nutrients, excess iron cannot be excreted by the human body, causing it to build up in the brain and other tissues and organs impacting the liver. Premenopausal women, especially those with heavy periods, may benefit from iron supplementation, but it's not usually necessary after menopause. Who Should Take It: Vegans, anemic women and people with gastrointestinal problems. What to Watch Out For: Constipation. Iron can also decrease the absorption of some antibiotics and drugs prescribed for thyroid problems and can contribute to osteoporosis. Get It Naturally: Fish, poultry and red meat are good sources. What You Need to Know: Calcium strengthens bones when you're young and prevents osteoporosis in later years. However, recent studies suggest supplements are associated with greater plaque buildup in the arteries, increasing the risk for cardiovascular disease. "It's a very slippery slope," says C. Noel Bairey Merz, M.D., director of the Women's Heart Center at Cedars-Sinai Medical Center in Los Angeles. "Calcium supplements mildly strengthen bones but may increase the risk of heart disease." More studies are needed to confirm this risk. Who Should Take It: People who avoid dairy and those who have or are at risk for osteoporosis. What to Watch Out For: Too much calcium supplementation can increase the risk of kidney stones and may also interfere with your absorption of iron. People with digestive issues or who take acid-blocking medications, like Nexium or Prilosec, should use products with calcium citrate, such as Citracal. Get It Naturally: Cheese, milk and yogurt are high in calcium, as are fortified breads, cereals and nondairy milk. What You Need to Know: Omega-3s are known as good for the heart and have been shown to slightly lower blood pressure. But they've only been proven to reduce the chances of heart attack in people who've already had one. Some doctors recommend omega-3s for eye and joint health, lowering excessively high triglycerides (500mg/dL and above) and more. Who Should Take It: Women who've suffered a heart attack or have excessively high triglycerides. What to Watch Out For: Potent capsules can cause stomach upset and fishy burps; storing pills in the fridge may reduce side effects. Get It Naturally: Cold-water fatty fish like halibut, salmon and sardines. Not all dietary supplements are created equal. "It's a postmarket world, and the FDA can only get at these products after they hit the shelves," says Dan Fabricant, Ph.D., director of dietary supplement programs for the FDA. More than 400 products have been recalled since 2008 for containing prohibited ingredients. Shop smart by learning how to decode a label. Check for an intact safety seal to make sure that the product hasn't been tampered with. Choose products that are made by big pharmaceutical companies, nationally recognized brands or store brands from a trusted retailer. They invest a lot of time, resources and effort to ensure their products live up to their reputation. There are also small, trustworthy companies that specialize in a handful of products. Ask your doctor or pharmacist for recommendations. Be mindful of the delivery format (tablet, capsule, softgel, powder, liquid). Some brands show an image with the words "actual size." It may stop you from buying a bottle of hard-to-swallow pills. Look for a seal of approval from trustworthy organizations like the United States Pharmacopeial Convention (USP), ConsumerLab.com or NSF International. Beware of unlikely assertions, such as a pill claiming to have no side effects or claiming to work quickly like pharmaceuticals often do. That's a red flag, says Fabricant. The list of all components includes nutrients and other ingredients used to formulate the supplement, in decreasing order by weight. The Percent Daily Value (%DV) tells what percentage of the recommended daily intake for each nutrient is provided by the supplement. If the numbers look high, ask your doctor. Look for an expiration date to let you know how long the product is effective, a lot number or a series of letters and numbers to track the product, and the manufacturer's contact information in case you have a concern or an adverse reaction. Milligram (mg) and microgram (mcg) are units of measurement for water-soluble vitamins (such as C and B complex) and minerals. International Unit (IU) is a standard unit of measure for fat-soluble vitamins A, D and E.